Proteins are required to maintain and repair your body tissues. 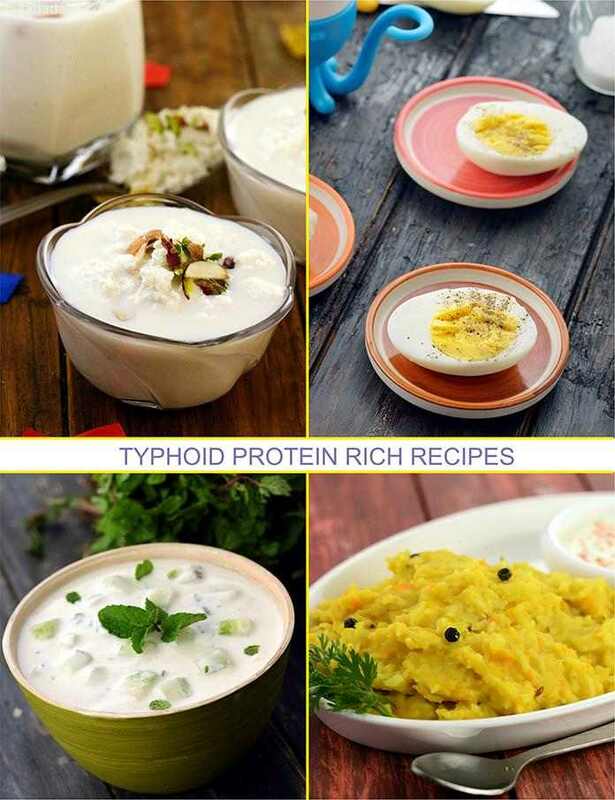 When one suffers from typhoid, there is a lot of tissue breakdown due to an increase in the body’s metabolic rate. So, proteins are a must-have. Include yoghurt and eggs, because they are easily digestible and provide good quality proteins. Vegetarians can obtain protein from dals, nuts, milk, curds and paneer. My Fair Lady and Moong Dal Sultani are protein-rich foods worth a try. Milk and milk products can be consumed only if the patient can tolerate them. For those who wish to go on a dairy-free diet, there are options like the Banana Almond Shake. Some traditional delicacies are rich in protein. But, if you are unable to consume solid foods, have something soft like the Moong Dal Khichdi. When your health begins looking up, you can have egg recipes like the Scrambled Eggs and Fried Egg, if you are ovo-vegetarian. Many more delicious recipes in this section will make sure your daily protein needs are met.